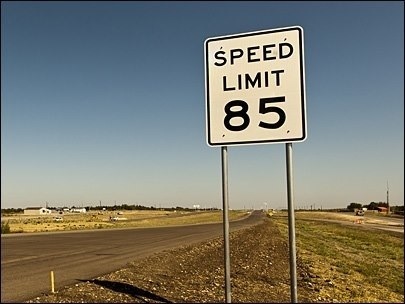 Today a stretch of Central Texas Hwy opened up for public use with a speed limit of 85 mph. A toll road to help with the congestion of Austin traffic. Free to use for the next two weeks. Gonna have to give it a spin. This entry was posted in Ramblings and tagged Hwy 130, Texas. Bookmark the permalink.